What is the definition of “Deferred Action”? What are the DACA application requirements? What are the Advantages of having a DACA status? Deferred Action for Childhood Arrivals, also known as DACA, is an immigration policy that grants certain undocumented immigrants who entered the US before turning 16 years old and have been in the US since January 1, 2010, a legal right to stay in the United States without facing deportation. 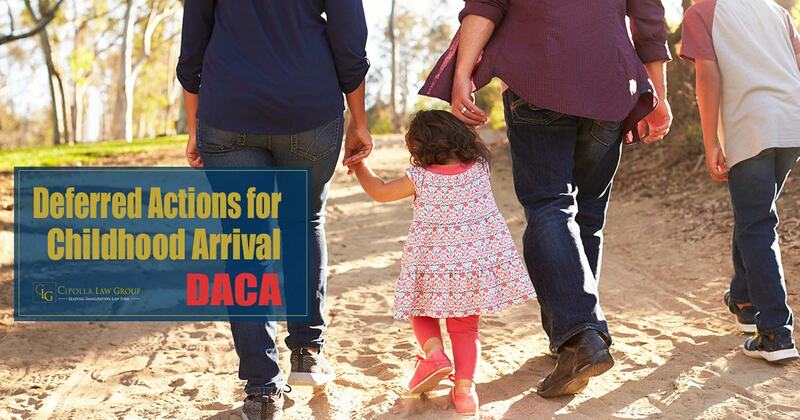 Upon approval of a DACA application, the DACA recipient will be permitted to legally stay in the United States and apply for employment authorization for a period of 3 years, subject to renewal. DACA does not grant any immigration status or a path to citizenship. In limited situations, temporary travel outside the United States may be approved for DACA recipients. Deferred action is a form of prosecutorial discretion issued for humanitarian purposes, which essentially suspends or deprioritizes a class of individuals case for a period of time. While not granting any immigration status, , Deferred Action simply allows undocumented aliens or people out of immigration status to stay in the United States for a determined period of time. Who can benefit from a DACA status? Undocumented individuals who entered the U.S. before turning 16 years old, and have been in the US since January 1, 2010. Have not been convicted of a felony, significant misdemeanor,or three or more other misdemeanors, and do not otherwise pose a threat to national security or public safety – not an enforcement priority. What are the benefits of a DACA status? Work legally within the United States. Travel outside of the U.S. for humanitarian, educational and business purposes. Will not be subject to removal/deportation proceedings or be removed for a period of 3 years.